Grace is the manager of Zoe’s Childcare Dallas street. She holds a Level 3 in Childcare and Education and a Degree in Education. Grace is Safeguarding Lead for the nursery. Grace is passionate about providing a caring, learning environment for the children in her care. Lydia is the deputy manager of Zoe’s Childcare Dallas Street. She holds a level 3 in Childcare and Education and is Language lead for the nursery. Lydia enjoys seeing the children grown and learn during their time at nursery. Cally-Ann is a senior Early year’s practitioner Level 3 qualified and SENCO for Zoe’s Childcare on Dallas Street. She has worked in early years for over 9 years and is mum to 3 amazing boys. Lauren Knott is a level 3 practitioner with paediatric first aid. Keira Seedhouse is a Leve 2 Early year’s educator and has been a student with us for the last year. 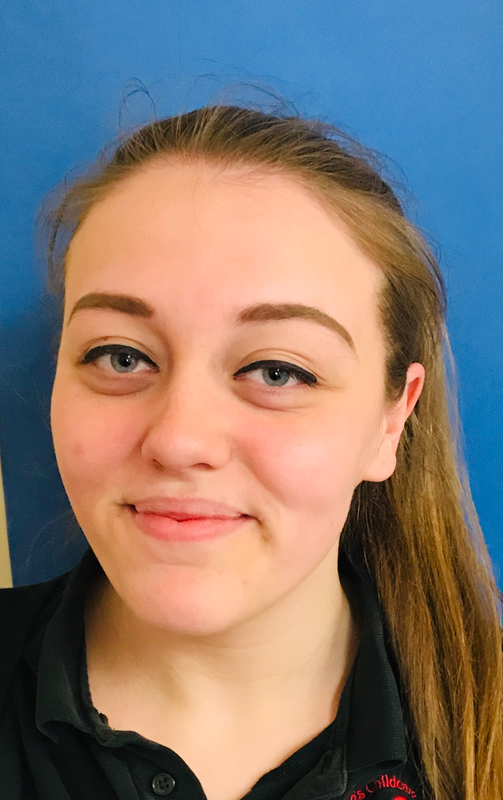 She is now undertaking her level 3 Early years Educator course whilst working at our Dallas Street nursery as an apprentice.